Indonesia is a multi-ethnic, racial, cultural, and religious society. There are more than 300 ethnic groups with their different traditions/customs, and languages, dwelling the island country of more than 18.000 islands (big and small ones). As a multi-religious country, Indoesia enjoys the presence of almost all major religions in the world like Islam, Christian, Catholic, Buddhism, and Confucius. This is coupled with hundreds of indigenous religions their communities embrace. Indonesian diverse society also has to do with how they earn a living, their access to modernity, and geographical conditions. A big number of farmers use very modern agricultural technology, but those-tribes living in back country practise nomadic farming. In the course of the state development the Indonesian has accepted the diversity as a unavoidable reality. The diversity is often seen as the nation’s property. Generally speaking, the Indonesian are proud of having the motto “Bhineka Tunggal Ika” to mean “Many but One”/”Diversity in Unity”. The Indonesian are regarded as a society who uphold harmony and tolerance. Many scholars even describe Java as a melting pot in which, during its long history, diverse religious traditions live side by side and mingle. This, in turn, brought about adaptive, tolerant-tending to be syncretical religious practices. The ideal picture described above, however, is not fully true. The history of Indonesia was, and in some sense still is marked with tensions, violence, and conflicts which, in some cases, assume a heavy toll (see Rozi et.al, 2006). Such conflicts occured in Aceh, Papua, and East Timor. The conflicts had to do with the movement of separation. Other conflicts/violences had to do with regionalism and territory reform. This happened in Kalimantan and Sulawesi. Now, in the reform -the period after the government of Soeharto regime, conflicts/violences believed to be associated with religion flare up in many parts of Indonesia. This paper intends to describe the phenomena of religious relationships along with the political history of Indonesia. This becomes challenges encountered by interreligious community harmony in Indonesia. Following this presentation, there will be discussions of the roles of the state, civil society organizations, and local communties to manage everyday interreligious relationships in Indonesia. This part brielfly describes some important historical events associated with the interreligious relationships in Indonesia. The tense interreligious relationships in Indonesia could be traced back to the early days of the independence. The debate about the state philosophical base in the early days of the independence triggered tensions or frictions among Islamic groups, Islamic nationalists, abangan (the ones who do not adhere strictly to the precepts of their nominal religion), and Christian. The fight of the Islamic representatives who wanted Islam to be the State Base ended up in disappointment because the debate concluded in a modus Vivendi widely known as Jakarta Charter. In the Jakarta Charter there were seven words added: “Dengan kewajiban menjalankan syariat Islam bagi pemeluk-pemeluknya (lit. with an obligatory to act Islamic sharia for the followers). However, just one day after the independence these seven words added were omitted. The debate, however, occured only at the political elite of the state founders. Nonetheless, the political echo of the event sometimes remains audable. In 1950s Indonesia witnessed the rise of spiritual group-Kejawen (Javanism), the number of which increased significantly. In 1965 the number of the spiritual group was no less than 300. This phenomenon occured both in the priyayi (one belonging to upper classes) and abangan group. This development urged the Ministry of Religion to propose a minimum definiton about a religion in 1952. The religion has a Prophet, a Holy Book, and is internationally recognized. The definition is strongly potential to control the growing of the spiritual groups, which, implicily, both Islam and Christian do not generally recognize it as a religion. The 1965 tragedy brought about what is called mass repentance in which the population in a relatively massive number converted religion. Following the tragedy the Soeharto government required that every citizen of Indonesia to embrace one of the religions recognized by the government to avoid allegation of being a PKI / Indonesia Communist Party (atheist). Many abangan groups converted into Christian. In some regions the conversion was marked with mass baptism which, in turn, followed by the spring up of new Christian congregations. So, the issue of Christianizing spread widely. The bulgur food relief given to the community to overcome the food crisis for example, at the time invited prejudices that the bulgur food relief was meant to Christianize the community. This prejudice remains up to the present. Human relief for natural dissaster often calls for prejudices. Many are suspicious that this is a form of Christianizing the community experiencing the dissaster. In the era of the government of the New Order Regime interreligious was said to be relatively quiet. Interraligious conflicts and violences rarely occured. They were almost non existent. This quiet situation was because of the political policy of the New Order which systematically and firmly barred the political voices of religious groups and locked them up in corporations strictly designed and controlled by the holding power. In this period the face of religion was very monolithic due to monolithic loyalty to authority. The jargons of Azas Tunggal (monolithic base) and monolithic loyalty were popular and spread around the socio-political life in Indonesia. The collapse of the New Order Regime in mid 1998 brought about political, changes which were freer and more open. The socio-political changes allowed room for religious and spiritual groups for free and open self-expression, including those who, before 1998, completely could not reveal their identity. At the same time the euphoria of openess allowed various transnational networks, including those of religious radical ones like Salafi, Ikhwanul Muslimin, and Hizbut Tahrir freely entered. The influence of these transnational movements caused the emergence of religious identity variations within the mainstream religious organizations. This often led to internal conflicts/tensions. Along with the intensifying radical Islamic movement violence in the name of religion in Indonesia escalated after the political reform in 1998. In just three months after Soeharto was toppled down Front Pembela Islam (FPI-Islamic Defence Front), a mass organization known as a radical Islamic group was established. FPI, until the present time, has often committed an act of agression/violence to any one/group who does not comply with sharia (Law) of Islam. In August 2000, thousands of people came to Jogyakarta to attend Majelis Mujahidin Indonesia (MMI-Indonesia Mujahidin Council) 1st Congress. One of the recommendations of the congress was to make Indonesia comply more with the sharia of Islam. Massive conflicts not long after May 1998 occured in some parts of Indonesia : in Ambon, Poso, North Maluku, West and East Kalimantan (May 1998-2003) (see Rozi et.al 2006). We can however say that the conflicts in big scale mentioned stopped before 2004 for different reasons (Bagir, 2015). In Aceh, Ambon, and Poso they reached an agreement; one side gained victory (West and East Kalimantan); and they stopped without resolutions (North Maluku). Since 2004 there have been no conflicts occuring in big scale. However, identity-based conflicts in small scale occured after that. These often happened in regions in which big conflicts used to occur. Interreligious identity conflicts mostly happened around the building of worship house. It is worth noting that conflicts said to be associated with religion are not always triggered by religious factors, but generally rather by economic, social, and law issues. Later, however, the actors involve religion to gain emotional support from religious groups. In this respect the actors make use of religion as an integrative factor for certain religious communities. On the other hand, a religion is responsible for disintegration among different religious groups. In the meantime conflicts within religion generally are associated with disgracing religion or teaching deviation. Overall, the intervention by the state is relatively effective to prevent the conflicts from escalating, but the main causes of conflicts have not been effectively addressed. Starting in Bulukumba regency, South Sulawesi Province in 2002, Regional regulations in Islamic Sharia sprang up and spread in many regencies/towns in Indonesia like those in Solok, West Pasaman, Depok, Cianjur, Cianjur Town, Garut, Tasikmalaya, Pamekasan, Banjar Baru, Enrekang, Gowa, and Maros. At the provincial level similar regulations in Islamic Syariat can be found in the provinces of Riau, West Sumatera, South Sumatera, Bengkulu, Banten, Gorontalo, or South Sulawesi. In some regions the Perdas mentioned regulate Al-quran illiteracy elimination, obligation to put on muslimah (female Moslem) clothing, zakat (tithe) imposition, etc. In other regencies similar Perda regulates prohibition of selling alchoholic drinks. In Padang Perda Sharia regulates prohibition for women to put on clothing which could arise sexual desire in public, obligation to recite Al-quran passages, or prohibition to serve customers in restaurants, eatery outlets, food stalls during the day in the month of Ramadhan. The spring up of Islam Sharia-based Perdas could be assumed as the impact of a shift in public policy authorization from the central authority to regional authority associated with decentralization policy and Regional Autonomy. Some studies, however, revealed that the Islam Sharia-based Perdas did not always indicate strong religious sentiment or the rise of certain religions. The phenomenon was often associated with efforts to gain political supports in Pemilihan Kepala Daerah (Pilkada-Regional Head Elections). 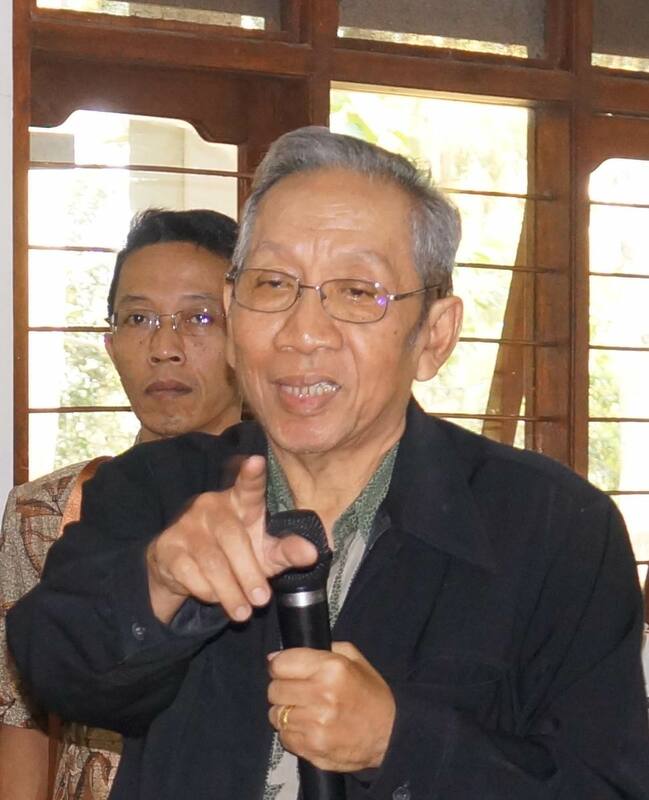 The case of Maros, for example, suggested that there was a shift of struggling strategy from the radical one to the fight through processes in local parliament. This was achieved through a political competition in local Pilkada in favour of building an Islamic society. The Constitution of Indonesia guarantees every citizen to embrace a religion or faith and commit devotion according to the religion or the faith s/he embraces. The policies generated from the Constitution also affirm the guarantee. In 2005 Indonesia also ratified Civil and Political Covenant of the United Nations. This means that Indonesia is bound to the International Law. In practice, however, the constitutional and legal guarantee stipulated in the law is not sufficiently able to provide a guarantee for freedom of religion/faith. Law protection efforts against the freedom of religion/faith often does not work effectively due to the hindrance of political interest of the mainstream groups or pressures by the hardliners. Moreover, the law enforcement in Indonesia is still weak. This is worsened by corruptive behaviour of some law upholders. It also often happens that breaches of law against the freedom of religion/faith are triggered by some regulations which are restrictive and ambivalent. Law No.23 Year 2006 about Administration of Demography for example, stipulates that every citizen decides a choice of religion on his/her ID. The regulation is generally understood as a requirement to choose one of the official religions recognized by the state: Islam, Christian, Catholic, Hindhuism, Buddhism, and Confucious (in 2001). Therefore, Sunda Wiwitan (indigineous religion in West Java) followers for instance, have to choose one of the six official religions “recognized” by the state. As there is no religion that complies with their choice. The refusal against naming the choice of official religions often brings about administrative and political difficulties dealing with their civil rights. The perception that in Indonesia there are six religions recognized by the government as “official religions” is actually inappropriate. The state never legally gives official recognition to the religions. It is the right of the followers to decide what ‘religion’ is. The only regulation reference available as the legal base is the explanation of Article 1, UU PNPS 1965 which states that the six religions are the religions the majority of the Indonesian embrace. Thus, official religion is symply a myth! In practice the myth of the “official” religion has caused descriminative practices, especially communities embracing other religions out side the “official” ones. Various facilities given to religious groups by the government tend to be directed to those regarded as being official. The myth of official religions is often misused as a political legitimacy in favor of restriction, discrimination, pressure and violence against minority groups. In the beginning of 2010 a number of community leaders and NGOs concerned with human rights protection proposed a judicial review to the Judicial Court to revoke Law Number 1/PNPS/Year 1965 about Prevention of Abuses and/or Religious Disgracing. Some Articles in the Law were seen to be harmful to the citizen’s constitutional rights to gain protection in freedom of religion/faith. The plea was rejected although there were weaknesses, the Law was still needed to prevent bigger chaos. Meanstream religious organizations tended to be of the opinion that Law Number 1/PNPS year 1965 is still necessary to be maintained. In effort to control the escalating religious conflicts, the government released joint regulation of ministry of religion and home affairs (Peraturan Bersama Menteri – PBM) No.8 and No.9/2006 about Job Implemetation Guidelines for Local Government Head (in province and regency/city) to Maintain Interreligious Community Harmony. In the joint regulation also regulates the formation of Forum Kerukunan Umat Beragama (FKUB – Interreligious Harmony Forum) and the requirements to get a permit for worship house building. The joint regulation causes pros and cons. The definitive requirements supposed to ensure the permit processing in practice is very difficult to fulfill, especially for the minority groups (see i.e Ali-Fauzi et.al, 2011). Unfortunately, many worship houses to have been built before the joint regulation was released were destroyed by hardline groups for a reason that the worship houses did not have official permits. Therefore, activists of human rights protection urge the government and the parliament to withdraw the joint regulation or revise it. With the joint regulation, the government expects that every regency/city forms FKUB. The forum is funded by the government and has 17 members consisting of religious leaders of officially recognized religions in the region. The forum is supposed to become an agent to promote interreligious dialogue and harmony. FKUB is also expected to serve as a forum in which interreligious conflicts are discussed, localized, and solved deliberatively. Sceptical views based on prejudices emerge in many regions saying that the forum consists of official religious representatives who are supposed to defence and/or fight for their respective religious interest. In the beginning, actors in FKUB were not mentally and technically prepared for a dialogue. However, studies undertaken by Percik (2015) in some regencies in Central Java found that some regencies such as Banyumas, Wonosobo, Sragen, etc. created new innovations. For example, FKUB does not accomodate only representatives of official religions but also those of religious minority groups (Ahmadiyya, Kejawen) and even those of hardline groups (Majelis Mujahidin). Regular meetings of FKUB members gradually improve a better understanding and partnership among them. People begin to view that FKUB which has legal aspect become a strategic arena to promote harmony, equality, and tolerance. This can be seen in some regions like Banyumas, Boyolali, Brebes, and Purwodadi. It is for this reason that interfaith forum in those regions start preparing their cadres, so that at one time they are officially accomodated as FKUB members. The spring up of conflicts and violences both in big and small scale that flare up in many regions in Indonesia after the reform period attract the attention of many NGOs toward the problem of interreligious relationship. Some characteristics of NGOs are nonbureaucratic, flexible, simple, and even they work as they do. These characteristics help NGO actors easily to found them. NGOs with these characteristics are able to available in many situations and places including those at remote areas. The euphoria of the development of civil society organizations under focus is supported by easy access to the funding from donors of Western countries who are enthusiastically support democratization in Indonesia. Since the beginning of 2000 there are many NGOs which have conflict resolution programs, such as advocacy in mediation, trauma healing, mobilization and distribution of relief aid for the damage caused by conflicts. Many capacity building programs attract attention based on the fact that many NGO activists posses insufficient knowledge and skills needed. In line with the development many NGOs start to shift their attention from conflict resolution to conflict prevention. This starts from an understanding that potential conflicts in society are triggered by various complex problems. So, NGOs are competing to find new innovations to encounter challenges which are getting more complex. Since 2000s there have been more institutes observing freedom of religion and human rights enforcement, doing the monitoring dealing with with breaches of religious freedom, documenting and publishing the results in their annual reports. Some of those institutes are the Wahid Institute, Setara Institute, Maarif Institute, Center for Religious and Cross-Cultural Studies (CRCS), and Elsa. With the annual reports the state is expected to realize its promise to guarantee freedom of religion/faith as has been promised. At the same time the state is required to strengthen civil society networks and expand constituent to fight for freedom of religion protection. The findings help all gain general pictures of tendency that occured, but they have some methodological weaknesses to be compared one and another. Since 2006 CRCS has organized talkshow program “Religious and Cultural Resonance” through mass media, the goal of which is to disseminate ideas to the society about how to manage differences or interests among different groups (Cholil, 2008). Other NGOs are engaged in character and multicultural education for children and youths to encounter radical movement whose target is the younger generations, especially those are in public schools. This is important because of the fact of radicalism and violences found in schools (Salim et.al 2011), as also released by Lembaga Kajian Islam dan Perdamaian (LaKIP – Institute of Islamic and Peace Studies). The findings show that 50% of students agree with radical actions; 25% of students and 21% of teachers state that Pancasila (the philosophyical state based) is no more relevant; 84,8% of students and 76,2% of teachers agree with the implementation of Islam Syariat in Indonesia. In the meantime, 52,3% students and 14,2% teachers agree with violences in the name of religious solidarity by means of bomb attacks (BBC Indonesia, 2016). In the beginning of 2000 Percik Institute, Pondok Pesantren Edi Mancoro (Islam boarding school), and GKJ Synode initiated an interfaith network forum named Sobat. The term ‘Sobat’ (Javanese) means close friend. As the name suggests, the goal of the forum is to rebuild relationships in religious life at local level which is set to be more segregative (Dirdjosanjoto et.al, 2002). The network forum has developed into a local movement organized in flexible and fluid manners. In the beginning members of the forum consisted only ulamas and church ministers. Later leaders of different religious backgrounds and spiritual groups join the forum. Sobat then develops into a movement spreading through local networks. At present, Sobat has 32 local networks growing in Central Java and develops into other interfaith forum/activities, such as Kata Hawa interfaith forum for women, Sobat Muda interfaith forum for youth, Sobat Anak interfaith forum children, interfaith marriage advocacy, and Interfaith Discourse Forum. Everyday management at local context is often refered to as a cultural dialogue to mean developing functional interreligious relationships. This is done in order to find solutions for local problems. 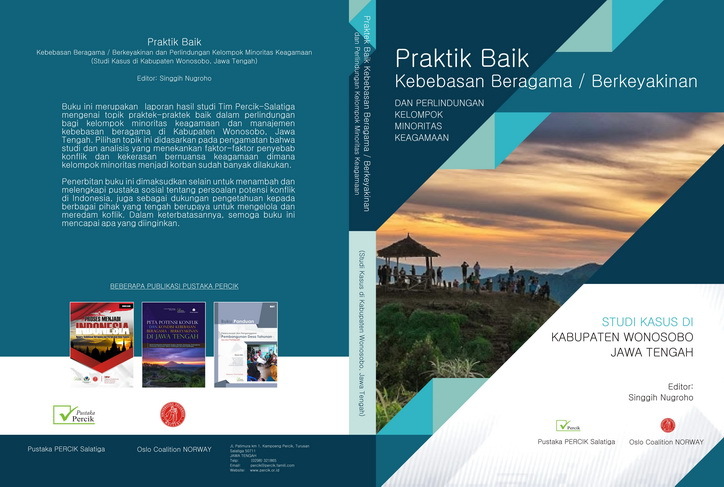 Percik study in religious trasformation practices at local level indicated that there are differences of religious practices which are not uniform with those practiced in religous centers. This affirms that there are plural religious practices even in one religion. In Celengan for example, Percik witnessed a Muhammadiyah ustadz (leader) was willing to lead a slametan (communal ritual meal), because the villagers firmly hold such tradition. Neither is he disturbed by dogs wandering around the village mosque. He simply put up a small fence to prevent dogs from entering the mosque. It seems that the ustadz is fully aware that dogs for the poor villagers in Celengan serve as income sources. Even, religous mass conversion is common for the community in Celangan. The conversion is intended as a mechanism to find room for social, political, and economic manuvers (Saptaningtyas and Dirdjosanjoto, 2004). We also found a similar tradition of a communal ritual meal named ‘pajatan’ and how village cleansing was prepared in Ngampel. The village people who all belong to interfaith communities in the village attended the ritual. They organize the tradition of pajatan three times a year: Easter Pajatan organized with the easter for the Christian; Ruwahan Pajatan organized at the time the Moslem prepared themselves to start the Ramadhan; and Katina Pajatan organized when the Buddhist community celebrates Katina Holy Day. Another tradition called saparan (in Ngampel it is referred to as pajatan) is organized by villagers living on the slope of Mount Merbabu. These traditions affirm that practicing religion which considers local situations and community relationships serves as a path for interreligious and harmonious relationship (Dirdjosanjoto et.al, 2002). The above examples show that communities develop self-building initiatives to hinder external pressures coming along with local beuracracy, political parties, religious or mass organizations. The strategy of the self-building initiatives could be defensive (i.e. slametan, pajatan, saparan), offensive (i.e. confrontation, rejection, boikot), or a combination of both. The traditions above are symbolically meant to counter negative impacts of the external system assumed to threaten the community identity and unity which badly need to jointly counter uncertain life conditions. It is worth noting there are sharp different characteristics between state and civil society management. State management as described earlier sees interreligious relationships simply as matter of political issue. In this respect, the state tends to endorse a policy based on political consideration and relied on government beuracracy. The effectivity of legal and formal approach in Indonesia is still hindered by the poor law enforcerment. While the cultural approach is chosen by the civil society at the grass root for a reason that they do not trust the legal formal approach. In Indonesia the legal formal approach is ineffective, therefore people avoid it. The description briefly presented above shows that the rise and the fall of the interreligious relationship in Indonesia are politically loaded. Therefore it is not suprising that interreligious relationship have become the language of political domain. This view is triggered by conflicts and violences flaring up and, at the same time, absobing wide public attention. Everyday management of the interreligious relationships in Indonesia, therefore starts from this paradigm: the interreligious relationships is understood as a means to fight for the political interest of religious groups. This situation is made clear when we compare the hurly-burly of interreligious relationships at town/city, regional, and national levels with how village people view the problems and how they manage them. Although this has costed political commotion in the external circle in the authoritative religious center in towns and social media. To the people living in villages are those at the grassroot level, the interreligious relationships are not important issues. They are things to be accepted as they are, and the religious conversion is not something that worries them. Studies undertaken by Percik in Ngampel, Celengan, and Wonosobo show that individual or mass religious conversion do not make them worried. To them, what matters is how they cope with uncertainty life conditions that could come to them at anytime. This paper is presented in the Symposium on Encounter and change of religious attitudes in the multireligious context of Indonesia, in June 2016 at Humboldt University Germany. Ali-Fauzi, Ihsan et.al (2011). Kontroversi Gereja di Jakarta. Yogyakarta: CRCS Gadjah Mada University. Bagir, Zainal Abidin (2015). Pembatasan Ujaran Kebencian: Perspektif Pengelolaan Keragaman di Negara Demokrasi. Paper presented in Seminar Ujaran Kebencian, Percik 2015. Cholil, Suhadi (ed.). (2008). Resonansi Dialog Agama dan Budaya: Dari Kebebasan Beragama, Pendidikan Multikultural, sampai RUU Anti Pornografi. Yogyakarta: CRCS Gadjah Mada University. Dirdjosanjoto, Pradjarta, Mahfudz Ridwan, and Johanes Sudarmo (ed.) (2002). Menghilangkan Sakit Hati Antar Umat yang Lahir oleh Sejarah. Salatiga: Pustaka Percik. Dirdjosanjoto, Pradjarta, Philip Quarles, and Singgih Nugroho (2002). Christians and Muslims Live in Nothing but Harmony in Here: Religion and Politics in a Javanese Village. Paper presented to the Third Annual Conference on the Dynamic of Local Politcs In Indonesia: Pluralism from a Local Perspective, Salatiga 9-12 July 2002. Hasani, Ismail (ed.) (2009). Berpihak dan Bertindak Toleran: Laporan Kondisi Kebebasan Beragama dan Berkeyakinan di Indonesia 2008. Jakarta: Setara Institute. Rozi, Syafuan (2006) Kekerasan Komunal: Anatomi dan Resolusi Konflik di Indonesia. Yogyakarta: Pustaka Pelajar in cooperation with P2P LIPI. Salim, Hairus, Najib Kailani, and Nikmal Azekiyah (2011). Politik Ruang Publik Sekolah: Negosiasi dan Resistensi di SMU N di Yogyakarta. Yogyakarta: CRCS Gadjah Mada University. Saptaningtyas, Haryani and Pradjarta Dirdjosanjoto (2004). “Religious Conversions in Central Java: Struggling for space in two local communities,” in Oscar Salemink, Anton van Harskamp, Ananta Kumar Giri (eds), The Development of Religion/The Religion of Development, Eburon, Delf.